As we look forward to the real start of summer, Collingswood's 40th (!) May Fair, I'm happy to report that we have had a very busy spring. Winter takes a toll on roads everywhere but we have to wait until temps warm up to tackle potholes and begin repaving. 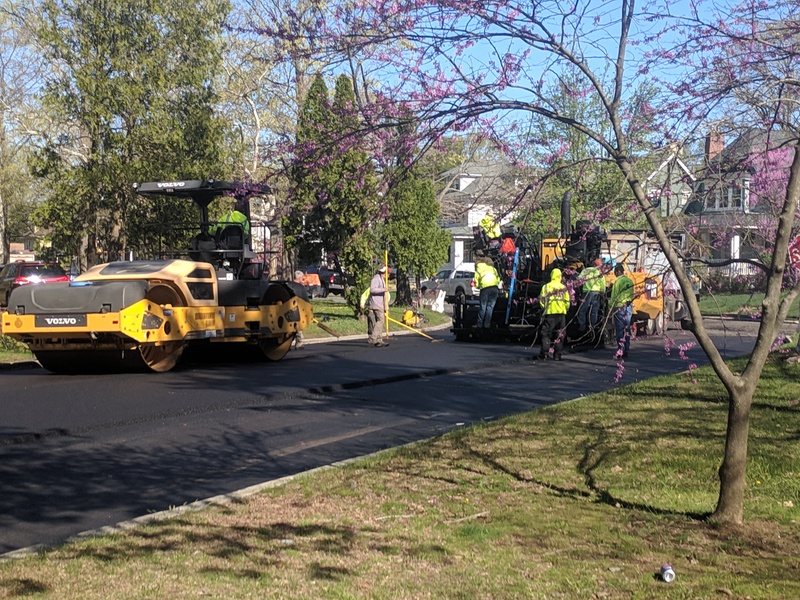 Over the last several weeks we've put the finishing touches on several roads that were slated for repaving as part of the 2018 budget. You'll notice lots of smooth black asphalt on roads including Magill Ave, Belmont Ave, Ogden Ave, Irvin Ave, Park Ave and others. We also continue to tackle potholes so if you have a bumpy road we can address it. Just let us know by reporting it on Collingswood.com. We also held a special "double" town forum which dedicated an hour to updating residents on our Public Safety Facility project. After months of planning and multiple public meetings we are finalizing design and we hope to break ground in late summer on the lot at 434 Haddon Ave. This space will house our police and fire departments, provide them appropriate space and technology and give our first responders a joint home that will bring them into the twenty first century. We will take on the cost of this project as we retire old debt so we do not anticipate that this will cause any substantial tax increase to complete. We previewed a "fly through" rendering of the new building that gives a sense of layout and design. You can see that video here. One of the biggest concerns we heard at the general town forum in April was regarding the condition of crosswalks throughout town. Again, this is a project that comes with warmer temperatures so you'll be seeing workers repainting and freshening crosswalks throughout town. Crosswalks need regular maintenance - if there is a crosswalk you'd like to see repainted you can also report that on Collingswood.com. In other pedestrian related news, we have also kicked off the community outreach portion of a bike and pedestrian master plan grant that we are working on with Haddon Township. We collected data about street use and safety at the annual Green Festival and both towns will be hosting meetings and asking for feedback to build a master plan that improves walkability and bicycling for all users. Look for continued outreach to the community via meetings, a project website and more in the months to come. There is so much going on in our wonderful town! If you have any questions about road projects, municipal projects or anything at all please feel free to email me at jmaley@collingswood.com. Always happy to hear from folks. We’ve been working on a draft ordinance for short term rentals to address Airbnbs in Collingswood and if it seems like a slow process - it is. Writing language that best addresses issues specific to our neighborhoods has taken a lot of research and fine tuning but we are happy to present this draft ordinance for public comment. There were several factors we weighed as we laid out this draft. Our guiding principles for the amendment were to ensure the safety of visitors at short term rentals, avoid encouraging the national trend of properties being purchased to be used exclusively as a short term rentals, maintain the quality of our neighborhoods, recognize the desire of some residents to provide home sharing for various reasons and focus on life safety for guests, owners and surrounding properties. This is extremely nuanced policy that we believe balances the desire for Airbnbs, safety, and neighborhood continuity. If you have any specific questions or comments, feel free to reach out to Joan, Rob and me. As always, we are happy to listen to your thoughts and share ours. We have to consider many factors (several of which came directly from our inspectors and first responders) but do so with great diligence. Our goal is to deliver an ordinance that works best for Collingswood as a whole. You can watch the stream of all our commission meetings on the Borough’s YouTube channel here. Progress continues on our plans to relocate our police and fire facilities into a single public safety facility on the lot at 434 Haddon Avenue. To date, we’ve had five public meetings (with another planned for April) to keep everyone updated as we move through this process but we like to give new information every time we have the ability. As of late winter 2019 we’ve finalized the location, footprint and general structure of the facility, which will merge our police and fire buildings and bring them into the twenty-first century with desperately needed upgrades. We are now examining the project in more detail – choosing materials, narrowing down costs to stay on budget, figuring out how to manage and improve stormwater concerns in the area, examining eco-friendly options and closely reviewing tech and floorplan layouts to meet the needs of our police and fire departments. We hope to have design finalized in March. As we’ve said from the start, it is our goal that this project, as well as the plans to move our Public Works facility, will have little to no impact on property taxes. As we are retire old debt in the near future we will roll this project on to the books so there will be no increase as a result of improvements. I’ve likened it to purchasing a new car when the old one’s loan is paid off. There’s no doubt new facilities are needed – it’s our goal to bring them to fruition and give our responders what they need with no major disruption in our budget. We are planning a special forum to specifically discuss public safety facility updates before our regular forum event on April 17, 2019 at the Scottish Rite Ballroom. We will have a PD/FD facility focused portion at 6 p.m. and move on to our general town forum at 7 p.m. I hope we see many of you there for both topics that evening. As we go along we have been answering a lot of questions about this project by phone and email and we encourage folks to reach out with any questions they may have at any time. I’m told it will be spring soon so feel free to stop me on the street once we’re all out enjoying warmer weather as well. 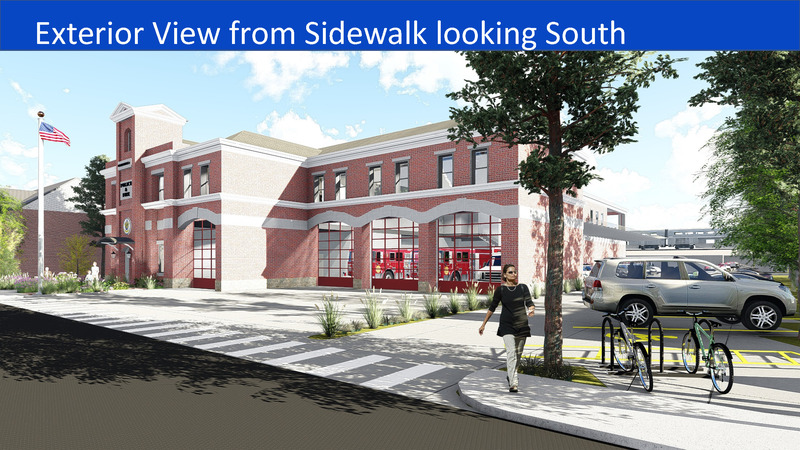 Below: A conceptual rendering of Collingswood’s new Public Safety Facility - designs are still being finalized. With all your feedback, we are starting to finalize the "look" of the building which you can see below. Our team took inspiration from the historic architecture around town like the Zane Schoolhouse and Borough Hall. It will house both our departments with the equipment and technology they require, but currently lack. This dual facility makes an extremely efficient use of design by sharing spaces between departments. We were able to touch on grant funding we are exploring and efforts to make the building as green as possible. Our architects noted that Collingswood is remarkably considerate of sustainable design - more so than most other towns. Regarding finances, our belief is that we can fund the project with minimal tax impact. As we retire old debt we are confident we can absorb the cost of this new project and keep our budget steady for residents with no major increases for taxpayers. As we progress through engineering phases we will get more detailed answers regarding traffic and stormwater management. A lot of the questions we heard revolved around these topics but we do not have that information yet. We are able to say that any work done will improve flooding issues in the area as we plan for infrastructure improvements. 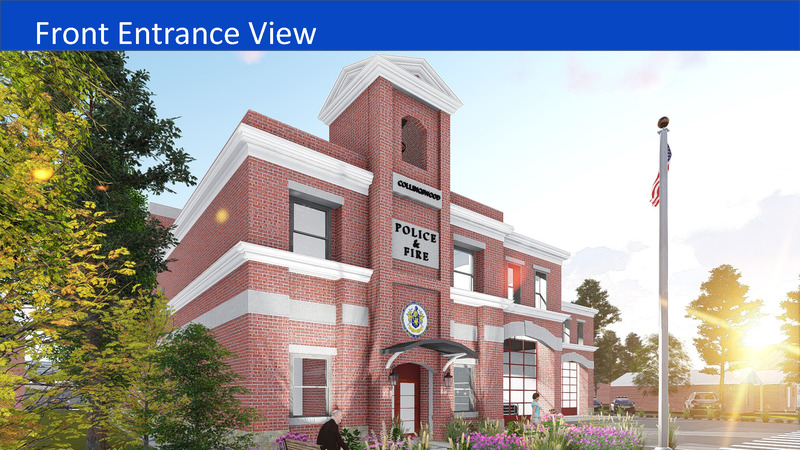 It is our goal to make our new home for Police and Fire appropriate for their needs and to fit it as seamlessly as possible into its new location, the surrounding neighborhood and Collingswood in general. We will continue to work on the project through winter and host follow up forums in early 2019. We have been hosting tours of the current police and fire buildings before our town forums which illustrated to several attendees how desperately we are in need of new facilities. If you missed those tours, and want to see our current buildings or have questions for our Chiefs you can email them here (Fire Chief Keith David) and here (Police Chief Kevin Carey). 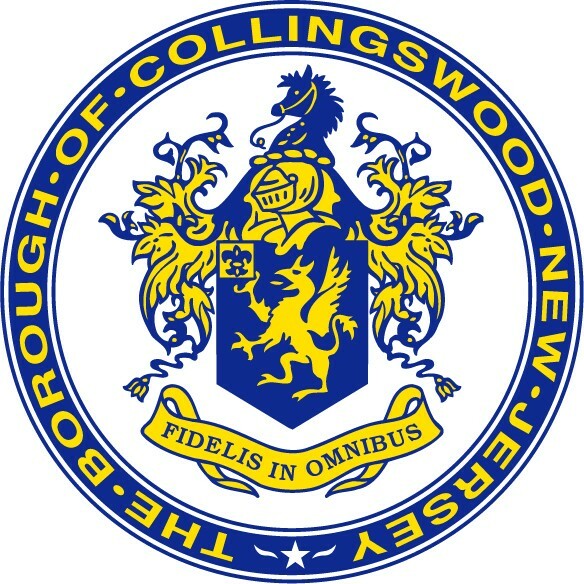 You can see the live stream of the Dec 5 meeting here and you can always email me with questions at jmaley@collingswood.com. We're looking forward to sharing updates and hearing your feedback. 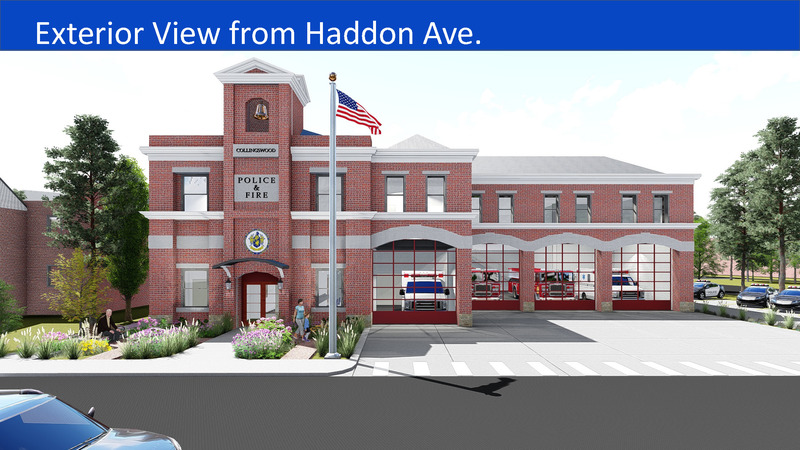 Last week we held a public forum to show the first concepts of the new Police and Fire building that will be at 434 Haddon Avenue. For those that weren't able to make the meeting, I wanted to share these images so we can hear from as many people as possible. As we developed these concepts with our architects we took into consideration community input we've received about the facility, public safety service needs and functionality, architecture that matches the existing "look" of Collingswood, cost and sustainability. We've also received feedback that residents want to know more about the impact of parking and traffic flow, site improvements, storm water management - and these are all items that we will work through with the community and our architects. At this point, we still have a lot of issues to address. We will learn and share more as we complete more detailed engineering. For now, we are trying to pin down what "look" the final building will have - that will inform next steps of the design process. Our fifth meeting on this topic is December 5 at 6:30pm at the Community Center. Our goal is to keep everyone informed as best we can through each phase. At the December 5 meeting we'll show concepts in more detail and give updates - we hope you can attend. In the fall, we held a series of meetings to discuss our intention to examine possible sites for a new public safety building to house police and fire services. Since then, we’ve been working closely with USA Architects who have interviewed our chiefs and officials to determine their needs in a new space and if such a building can fit within the lot at 434 Haddon Avenue. There is no question that new facilities are desperately needed. Now that we have a possible site, we begin answering questions of financing and functionality with input from residents of Collingswood with the goal of making it as beneficial a project for everyone in town as possible. We met with USA Architects on June 1 and we’re holding a June 26 special forum to share the work that has been done to date. This forum will include our architects and the focus is next steps, possible design ideas, community impact, financing and other topics regarding the facility. To be clear, we have not finalized any decisions regarding this facility. No final renderings, floorplans or costs have been authorized. This forum is all about keeping residents informed and getting your feedback on this project as we move through this process together. Know that part of keeping everyone “up to speed” includes some uncertainty of issues that are being fleshed out as we progress. We want to hear input and thoughts. We are exploring some different features and uses for the building and look forward to your thoughts. All are welcome to discuss, ask questions, see and hear what’s next regarding this important facility - June 26 at the Collingswood Community Center at 7pm. For those that have not yet seen the state of our PD and FD current facilities, police and fire will again host tours of their current buildings at 6pm on June 26, just before the forum. In May we authorized a shared service agreement “between the Borough of Collingswood and the Merchantville-Pennsauken Water Commission for certain water utility management services” (effective June 1) and we want to explain what’s this all about. And – what does it mean for our water services? 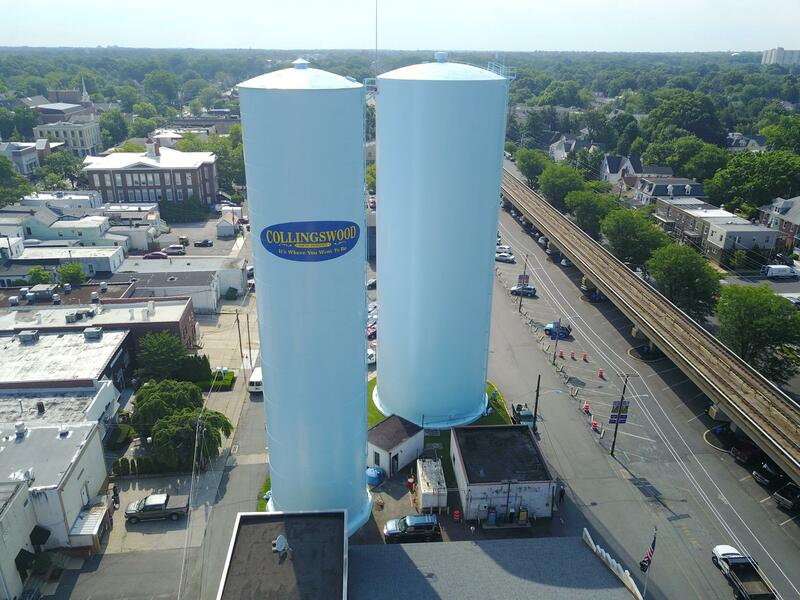 Essentially, we are partnering with the well-established Merchantville-Pennsauken Water Commission (MPWC) to manage and operate our water treatment services at our seven wells and water plant which serves roughly 21,000 people. Not only will your daily experience with water service not change, the long term goal is to make our water and services even better. We will gain MPWC’s extremely experienced staff as part of this shared service and this agreement will allow us to keenly look ahead, focusing on improvements and modernization of our water system. With the concern regarding increasing municipal costs in New Jersey, examining shared services is smart governing. Shared services aim to identify economies in municipal operations that provide both parties with safe and qualified services to reduce cost and improve efficiency for everyone. Sharing water services with MPWC looks to do just that. In the long run Collingswood receives a higher level of service and a better long term vision for improving our utility for years to come and the hope is that MWPC’s expertise will allow us to invest in technology that will possibly lower water rates in the future. More importantly, this shared service will ensure safe, high quality water. Better water, better planning, same price and service you’ve always known from Collingswood. This week, the Borough introduced the 2018 budget. In a nutshell, we will continue services we have all come to enjoy –weekly leaf collection, an affordable community pool (newly refurbished! ), recreation programs for all ages and all the other slices of Borough life that make this town where you want to be. Here are some highlights. This year’s budget includes $1 million dedicated exclusively to street improvements. We expect to complete ten streets and are examining need for reconstruction and replacement of water and sewer lines. We will increase our annual spending on streets by 400% over last year. This, coupled with State grant projects that should begin construction this year, means there will be some $1.6 million spent improving our street infrastructure in 2018. This budget includes new police cars, an additional Public Works employee and two new trucks and handles the ever-increasing costs of our various insurances. We are rolling out a small business grant program that will help our businesses grow. Our Business Improvement District (BID) has, in addition to our full calendar of events, successfully run a business seminar program to help our merchants adapt to the new economy, network, collaborate and use social media tools and modern marketing to help them thrive and keep our business community strong. For all these improvements, this budget comes with an annual tax increase of just $33 for the entire year on the average assessed home of $229,575. We never like to raise taxes, but we are confident this budget maximizes every dollar and provides for substantial infrastructure improvements and maintains Collingswood’s outstanding services for a marginal increase. Related to finances, let me update you on the progress of new police and fire facilities. We have had two public meetings – one with the immediate neighborhood around the location being studied and one as the central topic of our Town Forum. Our goal is to be as open and public about this process as possible. Through a selection process that vetted candidates with strong experience in public safety buildings we have just hired an architect with a strong administrative record in securing public safety grants and assistance. As you may know, we have been particularly successful in securing Federal grants for our Fire Department and we are working on securing outside funding for these buildings. The architect is studying the site to determine feasibility, researching alternate financing and will host information sessions with the public in 2018 regarding any next steps. Our aim is to find funding sources to assure this is not financed exclusively by taxpayers and to continue to get your feedback. We are also working through some final environmental studies at the former M&E Marine site on Route 130 to relocate our Public Works facility. I hope to have some concrete details on that soon. The big question is - how do we pay for all of this? While we hunt grants for public safety (actually have another meeting on that this week), there is no such money available for other public building projects. However, we are working to structure any debt so that it would come due when older debt is retired. Kind of like having the new car loan begin when the old car loan ends in an effort to responsibly balance costs, rather than add new debt. We are at the beginning of this process and we will keep you all advised and have a bunch more meetings to talk it out. Looks like many of you have decided it’s time to upgrade! So - why do we like to see permits filed? It is an indication that when faced with the need to improve or grow their current home or move to a new home, Collingswood homeowners are choosing to stay here and invest in their properties. In short, it means people like it here so much, they’re putting their money where their homes are - and keeping our neighborhoods and housing stock in great shape. They’d rather make a better home in Collingswood than go elsewhere. In a town that is nearly built to capacity, we’ve seen a record number of new construction projects as well – all with an eye toward smart growth that uses our remaining space in the most effective ways. When new properties are built, it increases the tax base for everyone. 801 Haddon Avenue, the location of Hearthside as well as new apartment units, was completed in 2017. Since 2015 we’ve also seen the construction of six new homes, one new apartment building (The LumberYard), more than thirty residential additions, two new public structures as well as a myriad of municipal infrastructure improvements. The other big news is the sale of the Heights of Collingswood to new owners, who have changed the name back to The Parkview. We’ve had several meetings with new management and they have some ambitious goals for the complex including garage renovations, parking improvements and increased security. 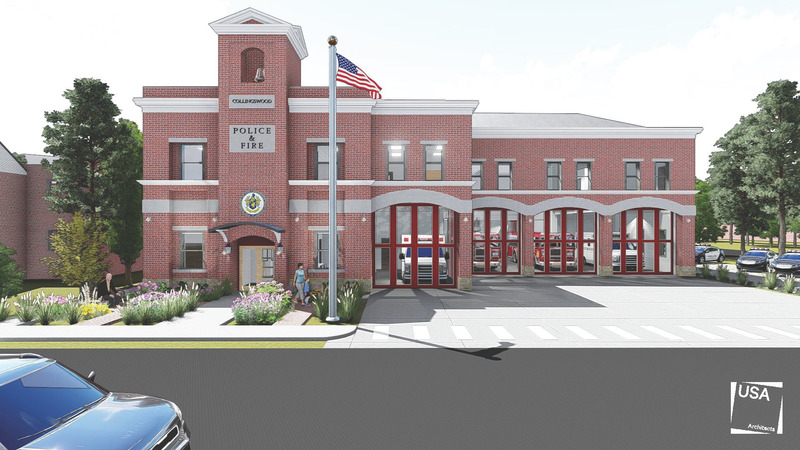 The sale of the Parkview will also net a new revenue stream that we hope to apply to capital projects (like new public safety facilities) that will improve our town without burdening taxpayers with the entire cost for those projects. I’d also like to mention that the news from our real estate colleagues is that our retail vacancy rate is extraordinarily low. Nearly every store front in the central business district is under contract or in the process of getting approvals – meaning our storefronts will be brimming with even more activity, shopping, dining and services. Additionally, when properties are made available in these districts, they are filled with new businesses sometimes within weeks. It is an excellent testament to the vitality of our districts and the support we show our business community. Collingswood has long been the standard for strong businesses, neighborhoods and communities but we continue to see investment and growth year after year. Welcome to our newest feature. Here I’ll try to share thoughts on Borough activity, answer questions and generally share my thoughts on all that makes this town a great place to live. Many of you already take advantage of our email to contact us directly and I encourage you to send in any questions or concerns. Spring is just around the corner. See you here and in the park. Storm Stella in 2017 had quite an impact. Damage from the ice storm not only shuttered Borough Hall and temporarily relocated our staff; it forced us to reexamine the operations of every department in town. The result is that we’re researching options to move forward on some capital projects that have been necessary for years (in some cases – decades!) – but we’re miles from the finish line and will only get there after a lot of work internally and spending time hearing from residents. We are prioritizing our Police and Fire facilities. They are -and we cannot stress this enough- woefully, embarrassingly and dangerously outdated. When we requested a report outlining facility issues from our Chiefs, their responses were multi-page lists that included everything from a need for basic functionality to serious non-compliance issues. Here are just some of the problems with the current PD and FD buildings. PD: ADA non-compliance, security problems (no secure parking, evidence and police records not properly secured as required by current regulations), lack of storage for records, evidence, equipment and evidence processing; detention area issues (including a lack of separation between juvenile and adults in detention/processing area as required and no secure prisoner area outside of detention cell as required); unprotected telephone systems; traffic issues that impact response time; HVAC issues, no secure interview areas for witnesses/victims; detective bureau currently off site due to space constraints; areas unprotected by fire detecting equipment or an automatic sprinkler system; only one functioning bathroom currently shared by officers and prisoners; water intrusion and leaks; pest issues; inadequate training room, storage and conference space; locker rooms that serve as locker/break room with no shower or toilet facility; and a lack of women’s’ locker room/bathrooms. FD: ADA non-compliance; traffic issues that delay response and are unsafe (including the need to enter oncoming traffic lanes and/or backing up blindly, traffic back up and safety hazard at Collings Ave light when going into a blind curve on the wrong side of the roadway, firehouse not angled properly making apparatus navigation difficult and town events in very close vicinity to firehouse with heavy pedestrian traffic); pest issues; water intrusion and leaks; current building size limits apparatus due to bay ceiling and door height; crew quarters in poor condition with poor ventilation, HVAC and circulation; no separate bathrooms/locker rooms/showers for female staff; inadequate showers for personnel to use in a timely manner after a fire or exposure incident to decontaminate; equipment not up to safety standards; inadequate training room, storage and conference space; electric and breaker issues that cause power loss; and sewage backups in floor drains. We’ve spent the last several years repairing and trying to maintain these buildings so our police and fire could work from them, but the band-aids will no longer suffice. The current buildings are in such bad shape and poorly situated that no amount of renovations would correct many of these issues (such as size and location), which is why we are looking into new facilities, rather than rehabilitating the old buildings which would come at great cost and not solve much. And if you still aren’t convinced (remember, this is an abridged list) our Chiefs will be conducting public tours of their current buildings to show condition issues and how it impacts operation just before our fall Town Forum on October 24. 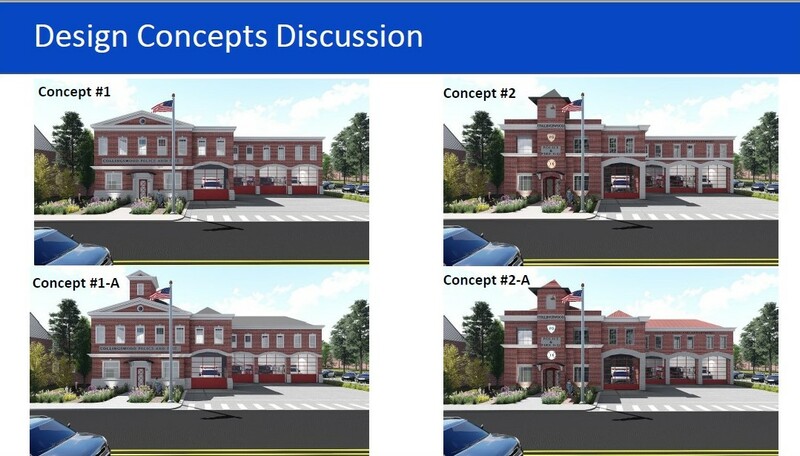 In talking to our Chiefs, staff, planners, architects and public safety experts, we think a joint PD/FD public safety building is the best approach to give our departments new facilities in our already dense town. We have acquired the lot at 434 Haddon Ave and are looking at developing a facility on that space. This space has excellent potential for a shared facility for a few reasons. Police and fire services would still be relatively centrally located with better access to a main corridor. This location would have less impact on our business district and pedestrians in the heart of the downtown. The location has ample space for such a facility, apparatus, fleet, equipment and parking for citizens. Plans for a new facility would remedy the above issues and dramatically reduce operation and maintenance costs for both police and fire, improve response times, provide better communication and efficiency for both departments, provide increased community visibility and improved accessibility for residents and provide shared, multi-purpose areas that can be used by PD and FD, which maximizes the facility’s use. The key at any location is to minimize the impact on a neighborhood (we are studying examples of new facilities in similarly dense areas and how they balance noise and traffic issues) and maximizing safety for those our public safety staff serve. At this point, we are only in the very beginning stages of examining the feasibility of using this site and will engage the community as much as possible with neighborhood meetings, town wide meetings, answering questions and concerns and providing as much information as possible as we move through the research and planning process. Building new public safety buildings is necessary – but it’s not necessarily cheap. While we are a long way from having any figures, we do know we are in a good position to finance these capital improvements that will not rely solely on taxpayers. The great news is we have some revenue streams that will help cover the cost of this facility – which means minimizing impact to property owners. The sale of the Heights of Collingswood to new owners means a revaluation that will increase tax revenue from that property which we plan to apply to this project. We are working with the Camden County Improvement Authority which provides low cost financing and our development team will examine any and all grant sources available to us to bring down costs. One consideration is a mixed-use model that includes office space alongside public safety facilities to help offset costs and add to the taxable base. Additionally, our PD and FD will be simultaneously working to acquire grants to reduce the cost of equipment and other needs in any new space. Our goal is to plan a safe, modern (and desperately needed) public safety facility for the lowest possible cost to taxpayers. This is all conceptual right now – but we’re looking at every possible opportunity. We must update our facilities for our public safety teams (we’re about a decade late on getting started) and this will be a long and thorough project that balances cost, municipal need and community need. As we plan to bring our public safety buildings up to date, we are looking at even longer term planning for updating Borough Hall, Courts, Public Works and possibly even adding more parking to Collingswood. All are part of a larger plan with many moving parts, but we will take things one step at a time and keep residents as informed as we can. With any questions, don’t hesitate to email me at jmaley@collingswood.com. All are welcome to join the discussion at our next Town Forum on October 24 (7 p.m., Community Center) which we will dedicate partially to this project (as well as chickens, stop signs and whatever else you want to discuss). That evening, PD and FD staff with host tours before the Forum for any folks interested in viewing current conditions. We’re looking forward to moving our police and fire out of the 50s and into the twenty-first century and, as always, we welcome your thoughts.